Captain Marvel is a fictional superhero. He is the alter ego of a normal human. 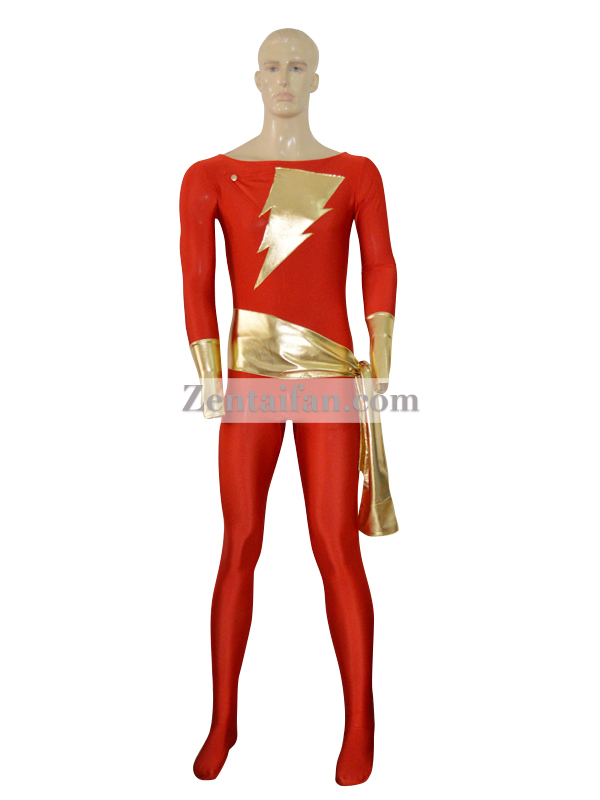 The suit is made of the red spandex and gold metallic fabric. No cape and gloves, the waistband is included.